Cheesy Italian Goulash - Getting Creative with Hamburger Helper®! Menu plans are hard to make. It’s difficult to come up with new things each week, new things that aren’t overly complicated, expensive and boring. I like to get creative and sometimes that means finding something new on Pinterest or like tonight, calling up my mother to give me ideas. My mother is amazing in the kitchen, she is one of those people who can slap a bunch of things together and make an amazing dish. So when I called her today, she gave me the most perfect idea. Using a box of Hamburger Helper® Cheesy Italian Shells, she showed me how to make Goulash. A meal that smelled so amazing, the aroma brought my husband in from outside. Goulash starts with browning one pound of lean ground hamburger with one chopped up onion. Drain. 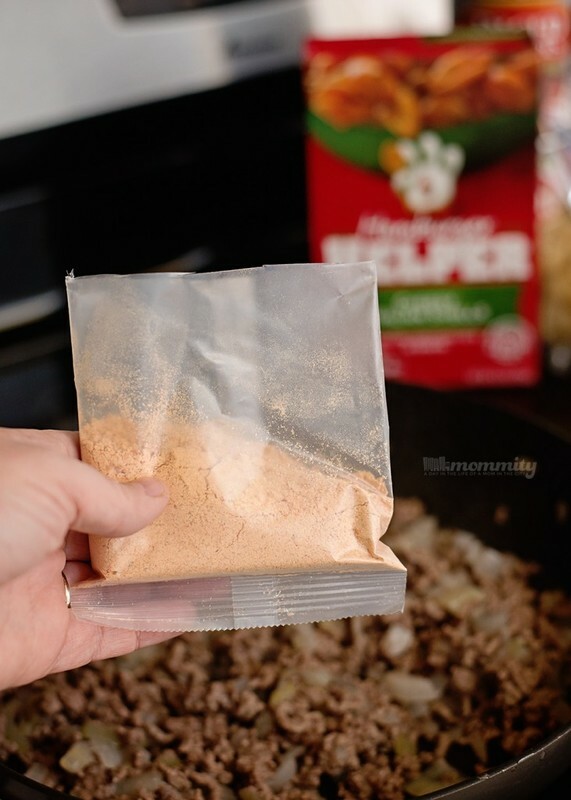 Then take the seasoning from a Hamburger Helper® Cheesy Italian Shells and combine it to the meat. Cook the Hamburger Helper® shells in a separate pot, only until they are al dente. Don’t cook them all the way! Combine one can of fire roasted tomatoes, one can of (no salt added) tomato sauce and the al dente shells to your mix mixture. Coat a medium sized casserole dish with a non-stick cooking spray and pour your meat mixture into the dish. 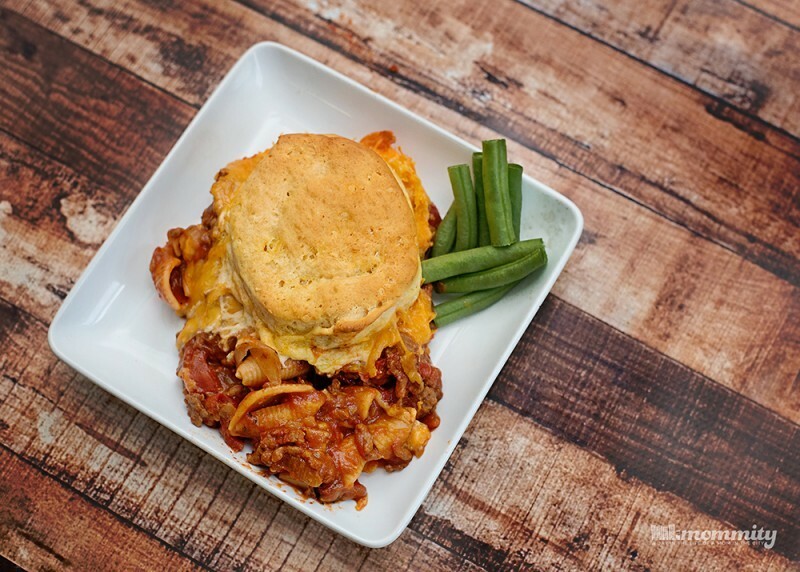 Top with one cup of sharp shredded cheese, 4-6 uncooked canned biscuits and bake in a 350 oven for 20-30 minutes. Tip: Keep an eye on the biscuits at the end to ensure they don’t burn. It’s National Hamburger month and this was the perfect way to celebrate! 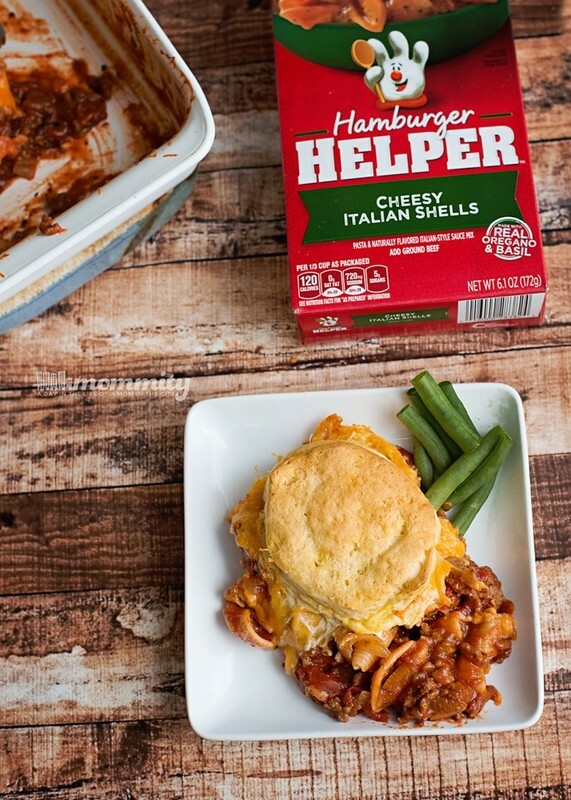 There are always great deals on Hamburger Helper® at Walmart and we love to stock up. 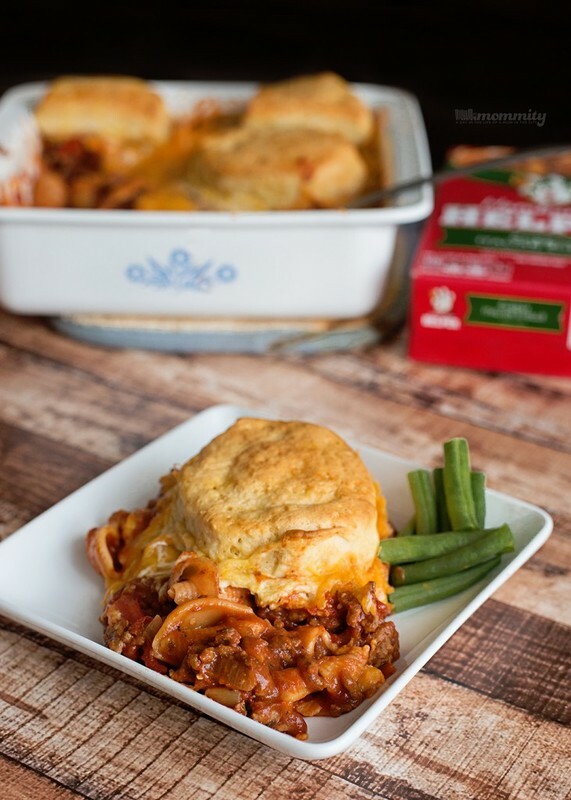 Though we make a menu plan, our weeks don’t always go as expected and Hamburger Helper makes it easy for my husband to help out when we need something quick. Hamburger Helper® can be cooked as is, or you can get creative like this Cheesy Goulash. It makes a great meal and my family loves it! 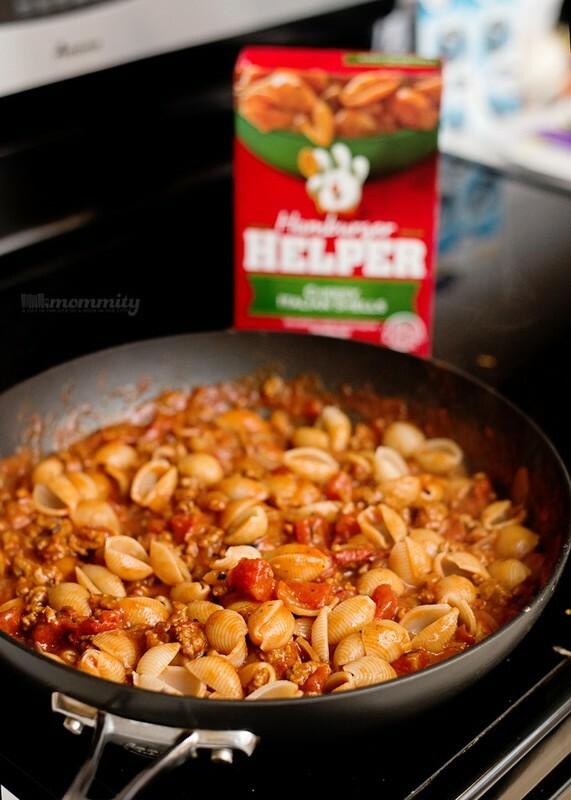 Grab this Hamburger Helper® coupon so you can save even more on Hamburger Helper® at Walmart! ← While You Wait for Orange is the New Black… Sneak Peeks of Netflix in June!